“Nobody wakes up in the morning and thinks: ‘Hey, I hope I get spammed today!’” This was the opening line used by Trent Dyrsmid, Founder of Groove Digital Marketing, during an Oktopost webinar he hosted on the link between B2B inbound marketing and targeted outreach. Trent’s right. Getting attention has never been harder, and cold calling or cold emailing – which were once the “go to” methods for growing a business, don’t cut it anymore. Today, it’s all about utilizing B2B inbound marketing strategies to reach qualified prospects, in the most personalized manner. Before you target any prospect, either by email, phone or with social content, always, ALWAYS ask yourself this question first: What’s in it for them? B2B inbound marketing has little to do with your particular brand, and is largely focused on having the audience’s interest front and center. After all, it only takes one click to unsubscribe or unfollow, and based on Trent’s advice, that’s exactly what will happen if you try capturing someone’s attention with worthless content. Inbound marketing is designed to nurture your prospects over time, by providing them with valuable content that answers their questions addresses their pain points. This type of content should serve to foster a long-term relationship between the prospect and your brand, and most importantly, build trust. The trust asset is inseparable from the B2B journey, especially given the complexity of the buying process, and the fact that it can take months to reach a purchasing decision. Attract >> Convert >> Close >>Delight. As a marketer, your first goal should be to attract visitors to your website, and appeal to their interests and needs. This can be achieved by blogging, social media marketing, webinars, or gust posting. Remember, no matter which tactic you use to drive traffic, any content you create must have a CTA (call-to-action); otherwise, your visitors won’t be motivated to move to the next stage. Speaking of which, your next goal is to convert these visitors into leads. Based on Trent’s advice, if your website and landing pages lack visible CTAs, you’re headed for a poor conversion ratio. Once a visitor turns into a lead, it’s the marketer’s job to nurture that prospect by providing valuable B2B inbound marketing content that will eventually help close the sale. Let’s not forgot that once this happens, a marketer’s responsibilities aren’t done yet. Customer retention is just as important as acquisition, and brands need to ensure their user-base is delighted. Send out newsletters, continue offering valuable content, and show your appreciation with special offers for long-time customers. The hope is that your customers will eventually become brand ambassadors, promote your product or service, and help your company build social proof. Now that you have a general understanding, it’s time to take a closer look at each stage, and the type of content your prospects should be receiving when they reach it. The attraction stage of the funnel is all about bringing visitors to your website. At the top-of-the funnel, it’s incredibly important to ensure that your content is educational, informative – and of course, not promotional in the least. Offer your audience thought leadership content that shows how knowledgeable your brand is, and speaks to the challenges, pain points, and above all, the needs of your target prospects. What content is best for the attraction stage? Before setting out to write, put yourself in the prospect’s shoes. In the attraction phase, a buyer isn’t usually thinking about your company’s services, credentials, or track record just yet. None of these fits the top-of-the-funnel. At this point, the person is simply looking for answers to questions. During the webinar, Trent recommended making a list of about 20 “pre-sale” questions: the kind that you’ve heard from prospects over, and over, and over. The easiest way to get stated with B2B inbound marketing is to write one blog post that answers each question. Regardless of the type of content you create, remember that you need to educate your audience with helpful information. What are some best practices for writing top-of-the-funnel content? 1. Don’t be promotional, you’re not selling anything yet. 6. Include a clear CTA for premium content at the bottom of each post. Remember that B2B inbound marketing is nothing without original content marketing. 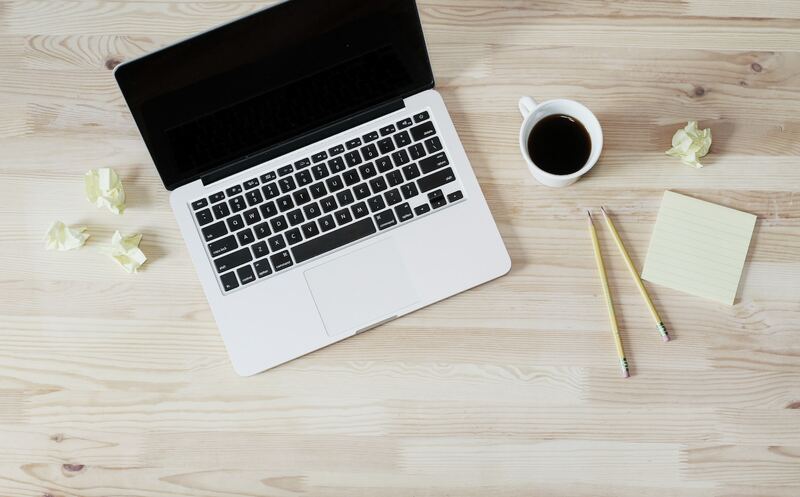 Whether you’re creating blog posts, videos, or an infographic, in the attraction phase, you need to offer content that comes directly from your brand’s marketing team, and will attract people to your website. 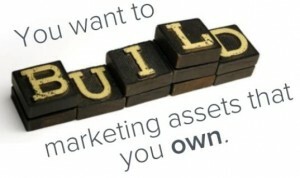 Your content assets can be promoted on your website, in social media, and in emails. Trent noted that one of the greatest benefits of quality content is its long shelf-life; it lives online for a very long time, and can have a profound impact on your business. You’ve successfully attracted a prospect to your website, and now you want to convert that person into a qualified lead. At the middle-of-the-funnel stage, Trent remarked that buyers are starting to research potential solutions, and defining their product requirements. The goal at hand is to continue educating these prospects – with a more promotional touch then in the first stage, and to teach them how to overcome their challenges. This translates to framing their business problems in alignment with your company’s solution. Don’t just list out the benefits your product offers; put them in context. Offer a case study with concrete data, invite them to a webinar where your product is featured, or send an email with a link to your latest eBook. What content is best for the consideration stage? Now, the question becomes: How do I offer this content? In the initial attraction phase, you don’t want to make it difficult for a prospect to access your content. It should be easily available, without asking for anything in exchange. However, in the consideration stage, it’s all about getting a person to leave contact details, which you can later use for nurturing purposes. One effective way to achieve this is to offer videos, eBooks, white papers and webinars as gated content; meaning that it’s only available after a registration form is filled out. Once you have these contact details, you can start pushing out a series of automated emails with supporting content to nurture your leads. Trent advised that these emails should answer commonly asked questions, and include a link to more content in each one, which can be slightly promotional. For example, provide a link to a case study which offers best practices, but also shows the incredible results the customer achieved using your product. Since the buyer has reached a point where your brand is seen as a potential solution, the content you offer in the middle-of-the funnel should educate, but also promote. At this stage, your prospects are fully aware that your product is might serve as a solution to their problem. They’ve read one or more of your blog posts, downloaded gated content, and have been receiving your nurturing emails. It’s safe to say that now’s the time to close the sale. As much as your B2B inbound marketing strategy needs to focus on educational, top-of-funnel content, the bottom-of-the-funnel is no less crucial. This is the point at which content must help convert qualified leads into paying customers, and communicate the unique value proposition, key benefits, and functionality of your product. What are some examples of bottom-of-the-funnel content? At this stage, prospects are actively considering your solution, and are in need of product-specific information to help them reach a decision. As a result, any content you offer must help overcome objections that the prospect has, offer social proof – such as testimonials, and create trust and credibility. The bottom-of-the-funnel is all about reassuring the prospect that your brand is the right choice and that your products and solutions suit their needs better than those of competitors. Well, almost. We’ve covered all of the B2B inbound marketing stages, except for one – delight. Just because the sales team closed the deal, doesn’t mean that a marketer’s job is done. Client retention is just as vital as lead generation, and can be achieved by providing the right content. After all, you want customers to promote your brand to their social networks, and advocate on its behalf. To encourage your customers to be brand ambassadors, you need to actively engage them, remind them you have their best interests in mind, and always listen to their feedback. What content can contribute to customer retention?